Burgums and Burghams of the "FF" family tree and possibly the "KK" family tree lived here, or nearby. UPTON BISHOP ST JOHN THE BAPTIST dates back from the 12th and 14th century. It is built of local sandstone. It was reopened following a major restoration in July 1862. The church has a nave that is 12th century and the south aisle and arcade were added about 1180. The chancel was rebuilt in the early 13th century. The south porch is 14th century while the square west tower was constructed around 1400.. The south vestry was added in 1880. The parish register dates back to 1571. In the 1851 census John Burgum was living in the house of Mr Turner, of Woodhouse, Upton Bishop. He was working as a waggoners boy, aged 14. The 1891 census shows Henry Burgham, a farmer, and his wife Hannah living at Bayton, in Upton Bishop, with children Sarah (31), Joseph (28), Felicia (26) and Edith (14). By 1901, Joseph was living at Bayton with his sister Edith. 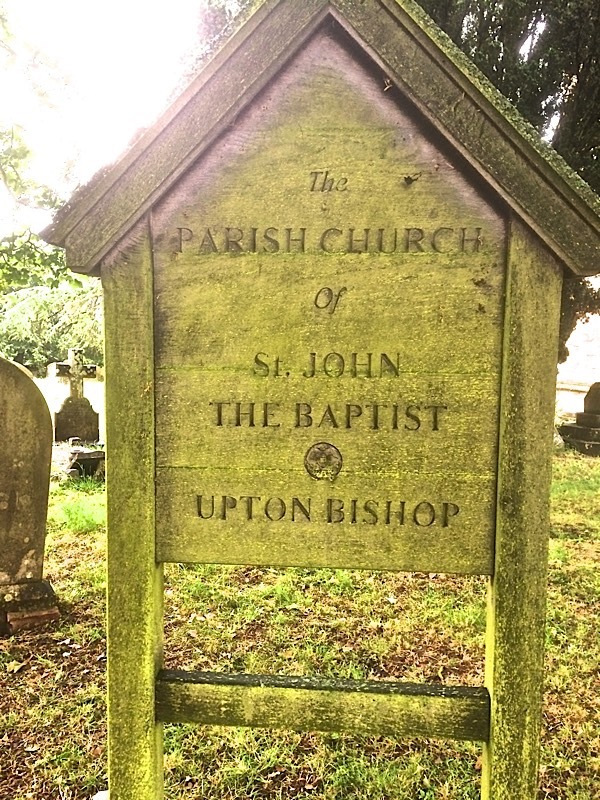 The list below shows the baptisms, marriages and burials that took place at Upton Bishop. (1) Gibbons Bagnall, M.A. graduated from King's College, Cambridge in 1660. He was prebendary of Bartonsham, Herefordshire in 1767 and later Vicar of Holm Lacy. He died in 1800. (2) James Garbett was educated at Christ Church, Oxford. He was described thus - "He was a veiy useful man at Hereford for many years in administering the affairs of the College, or as preacher at the Cathedral in lieu of absent Prebendaries. He was then oppressed with much work and a multitude of olive branches. His eldest son, James, made his mark at Oxford, became Professor of Poetry and Bampton Lecturer in 1842, and died March 26, 1879, aged 77, as Archdeacon of Chichester. (3) Thomas Barratt Power was educated at Emmanuel College, Cambridge, and became a Fellow there. He was headmaster of the Cathedral School from 1851 until 1857. He became prebendary of Moreton Parva in 1856. He died February 17, 1874, aged 51, and was buried at Ventnor, Isle of Wight. There is a memorial window and inscription to him on the south side of the chancel within Upton Bishop St John. 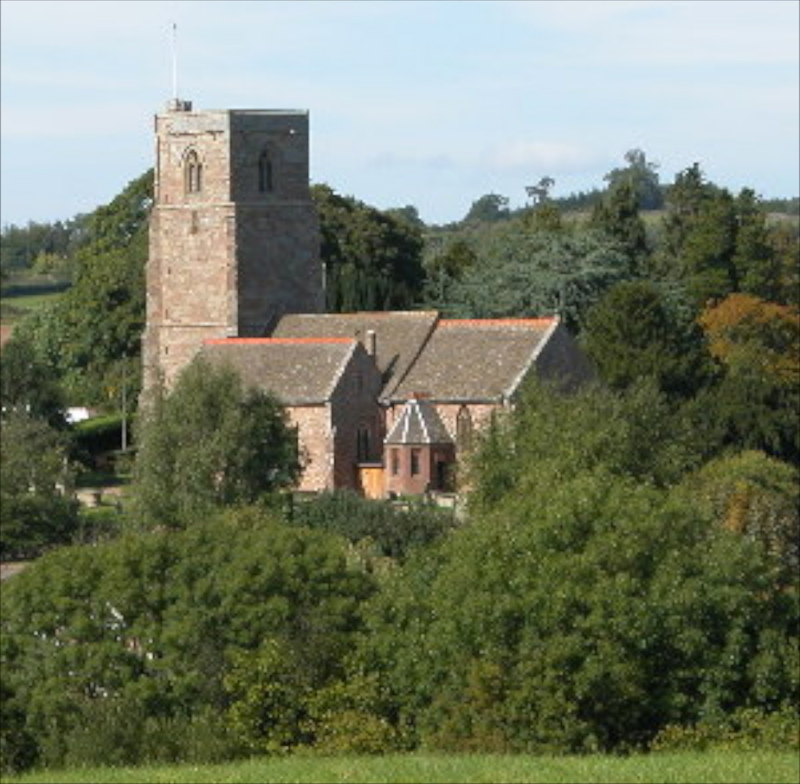 Click here for more about Upton Bishop and some of the Burgums and Burghams who lived there.